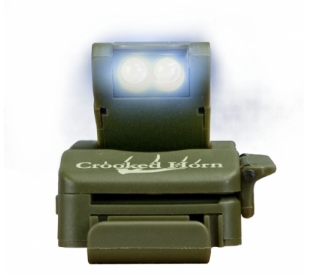 Crooked Horn Outfitters has been manufacturing specialized hunting gear since 1989. Our goal has always been to design a specialized line of hunting equipment that would go above and beyond the expectations of even the most serious hunter. Our commitment to research and development is our most important tool in designing innovative, new products. I personally spend over 100 days a year hunting, designing, and testing new products and ideas in at least a half dozen Western states, under vastly different hunting conditions. We’d like to offer a special thank-you to all of our customers for helping to make our business what it is today. We are truly blessed in our success. For me, it all started as a young boy growing up on a very large cattle ranch where the great outdoors was my backyard. Long days and hard work taught me that you have to give as well as receive. This has been our philosophy with Crooked Horn Outfitters and our involvement in the hunting industry. Our passion for the hunt is what drives us to build new, exciting equipment that will make your time in the field more enjoyable and your hunts more successful.Crooked Horn Outfitters has been manufacturing specialized hunting gear since 1989. Our goal has always been to design a specialized line of hunting equipment that would go above and beyond the expectations of even the most serious hunter. Our commitment to research and development is our most important tool in designing innovative, new products. I personally spend over 100 days a year hunting, designing, and testing new products and ideas in at least a half dozen Western states, under vastly different hunting conditions.All Crooked Horn Outfitters’ products are designed in the woods, not in an office. 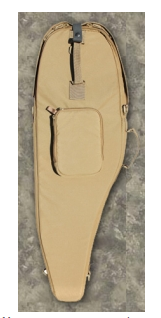 Professional guides and outfitters, outdoor writers, television personalities and hard-core hunters field test and provide invaluable information on all of our products. Crooked Horn gear is designed for the way you hunt by providing comfort, convenience, and confidence which translates into more successful hunting experiences!If there is one thing I have learned from my time in the field it’s, as hunters, we rely heavily on our gear for success and sometimes survival. 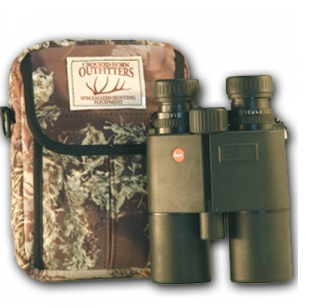 Specialized hunting equipment can make all the difference in our overall hunting experiences. Time saving, convenient, functional, durable and dependable are not just words at Crooked Horn, they are our mission. All Crooked Horn products are backed by a lifetime guarantee, because just like you, we demand the most of our equipment.We hope you enjoy the new look of our website. It is full of information whether you are just coming out of hunter education or you are an extreme, hard-core hunter. There’s something for everyone. We’ve designed it to be both entertaining and educational. And, you can be certain when you give us a call that whoever you reach on our staff knows about hunting and the outdoors and will go out of their way to help you. Our customers’ satisfaction and service will always be our top priority.